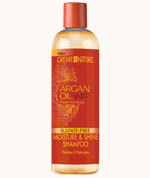 After shampooing with Creme of Nature® Shampoo, apply a generous amount to hair and comb through for even distribution. 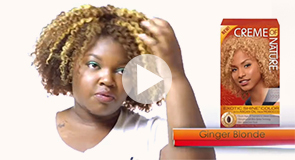 Place a plastic cap over the hair and sit under a warm hooded dryer for 10–15 minutes. 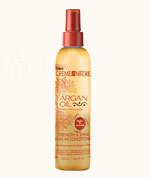 Rinse thoroughly and follow with any Creme of Nature Argan Oil styling product. 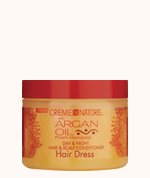 Using the conditioning treatment every day was too much for my hair so I started using it as a once-a-week reconstructor and I love it! 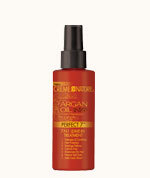 I really like to style my hair so this really helps to keep it from getting too damaged.